This article is about Air Force of Iran's regular military. For Islamic Revolutionary Guard Corps' similar force, see Aerospace Force of the Army of the Guardians of the Islamic Revolution. The Islamic Republic of Iran Air Force (IRIAF; Persian: نیروی هوایی ارتش جمهوری اسلامی ایران‎) is the aviation branch of the Islamic Republic of Iran Army. The present Air Force came into being in the early 1980s when the former Imperial Iranian Air Force was renamed. C-130, IL-76, F27, Boeing 747, Boeing 707, Falcon 20, Falcon 50, JetStar, Y-12, PC-6, Socata TB. The Air Force has attempted with some success to maintain in service the large number of American-built aircraft which Iran acquired during the Shah's regime. The Air Force has turned to purchases of Soviet and Chinese aircraft, as well as pressing ex-Iraqi aircraft into service, and indigenously built aircraft, in order to maintain a capable force. As of June 2016, the Islamic Republic of Iran Air Force possesses 348 fighters, making it the ninth most powerful air arm in the world, on paper. The IRIAF came into being when the former Imperial Iranian Air Force (IIAF) was renamed following the Islamic Revolution in Iran, in February 1979. The British publishing company Orbis' Warplane partwork magazine seems to indicate the renaming did not actually take place until after the Iran–Iraq War had broken out. Due to strained relations with the west, Iran had to procure new equipment from Brazil, Russia and the People's Republic of China. Since the Revolution, the exact composition of the IRIAF is hard to determine, but estimates do exist. Many aircraft belonging to the Iraqi Air Force took refuge in Iran during the Persian Gulf War in 1991, and many were put into service with the IRIAF or taken apart for spare parts. Since then the country has also become self-sufficient in the manufacture of helicopters. The country claims that it is capable of producing the U.S. AH-1 Cobra gunship. Additionally, Iran also produces Bell Helicopter Bell 212 and Bell 206 helicopters in serial production. These are known respectively as the Shabaviz 2-75 and the Shabaviz 206. A series of purges and forced retirements resulted in the manpower of the service being halved between February 1979 and July 1980, leaving the IRIAF ill-prepared for the Iran–Iraq War (also called the "1st Persian Gulf War"). The sudden Iraqi air strikes against eight major Iranian airbases and four other military installations, launched on the afternoon of 22 September 1980, came as a complete surprise and caused a shock in the IRIAF. The Iranians retaliated with operation Kaman-99 which involved 206 F-4, F-5 and F-14 aircraft. On 23 September 1980, Iran launched Operation Kaman 99 as 40 F-4 Phantoms, armed with Mark 82, Mark 83 and Mark 84 bombs and AGM-65 Maverick missiles, took off from Hamadan. After refueling in mid-air the Phantoms reached the Iraqi capital Baghdad, where they attacked: al-Rashid, al-Habbaniyah and al-Kut airbases. Meanwhile, eight More F-4s took off from Tehran and launched a second attack on the al-Rashid airbase. Iran proceeded to launch 58 F-5E Tiger IIs from Tabriz, which were sent to attack Mosul Airbase. After the attack on Mosul Airbase, another 50 F-5Es were dispatched to strike Nasiriyah Airbase, which was heavily damaged. As all 148 Iranian F-4s and F-5s had been sent for a bombing raid on Iraq, 60 F-14 Tomcats were scrambled to defend Iranian airspace against a possible Iraqi retaliation. Iranian F-14s managed to down 2 Iraqi MiG-21s (1 MiG-21RF and 1 MiG-21MF) and 3 Iraqi MiG-23s (MiG-23MS), an Iranian F-5E also shot down an Iraqi Su-20 during the operation. Iraqi MiG-23s managed to down 2 F-5Es, while Iraqi MiG-21s also downed 2 F-5Es. Iraqis also by mistake shot down one of their own Il-76MD strategic airlifters with a SA-3 SAM. Saddam Hussein and the Iraqi military were dealt a heavy blow when Iranian Air Force vulnerabilities failed to materialize. All Iraqi airbases near Iran were out of order for weeks and, according to Iran, Iraq's aerial efficiency was reduced by 55%. This allowed Iranians to regroup and prepare for the upcoming Iraqi invasion. Although the readiness rates of the IRIAF significantly increased in the following months, its overall role and influence declined, as the clerical government prioritized resources for the Islamic Revolutionary Guard Corps (IRGC) militias and simultaneously attempted to develop a separate air arm for this service. During 1984 and 1985, the IRIAF found itself confronted by an ever-better organized and equipped opponent, as the Iraqi Air force—reinforced by deliveries of advanced fighter-bombers from France and the Soviet Union—launched numerous offensives against Iranian air bases, military bases, industrial infrastructures, powerplants, oil-export hubs, and population centers. These became better known as "The Tanker War" and "The War of the Cities". To defend against an increasing number of Iraqi air strikes, the IRIAF leaned heavily on its large fleet of Grumman F-14 Tomcat interceptor fighters. Tomcats were mainly deployed in defense of the strategically important Khark Island (main hub for Iranian oil exports), and Tehran. Over 300 air-to-air engagements against IQAF fighters, fighter-bombers, and bombers, were fought in these areas alone between 1980 and 1988. Confronted with the fact that it could not obtain replacements for equipment lost in what became a war of attrition against Iraq, the IRIAF remained defense-orientated for the rest of the conflict, conserving its surviving assets as a "force in being". From mid 1987, the IRIAF found itself confronted also with U.S. Navy fighters over the Persian Gulf. A number of confrontations that occurred between July 1987 and August 1988 stretched available IRIAF assets to the limit, exhausting its capability to defend Iranian air space against Iraqi air strikes. One of the most notable Iranian fighter pilot was Jalil Zandi. His fame came as a F-14 Tomcat pilot. He has been reliably credited with shooting down 11 Iraqi fighter jets. During the 1991 Persian Gulf War, numerous Iraqi pilots flew Iraqi Air Force aircraft to Iran to avoid destruction by coalition forces. The Iranians impounded these aircraft and never returned them, putting them in service in the IRIAF and claiming them as reparations for the Iran–Iraq War. The aircraft included several Mirage F1s, MiG-23s, MiG-29s, Su-20s, Su-22Ms, Su-24s, Su-25s and a number of Il-76s, including the secret, one-off AEW-AWACS Il-76 "ADNAN 1" prototype. Even after the cease-fire with Iraq, the IRIAF carried out several air raids against Kurdish bases in Northern Iraq. The first of such raids was conducted using eight F-4s armed with rockets and cluster bombs on 6 April 1992 against People's Mujahedin of Iran's Camp Ashraf. During this event one F-4 was shot down by either insurgent or Iraqi military AAA and both pilots (Lt. Col Amini and Cpt. Sharifi) were captured and not freed until 1998. Despite threats of response, Iraq wasn't able to retaliate due to its own fight against Kurdish separatist guerrillas and the Western-imposed no-fly zones that crippled and limited its air force's operations. In 2007, Iraq asked Iran to return some of the scores of Iraqi fighter plans that flew there ahead of the Gulf War in 1991. And as of 2014, Iran was receptive to the demands and was working on refurbishing an unspecified number of jets. In late 2014, Iran returned 130 military aircraft to Iraq. In 2006, after Iranian media published a series of reports suggesting that Venezuela was interested in selling its 21 F-16 Fighting Falcons to Iran, a Hugo Chavez adviser confirmed to the Associated Press that "Venezuela's military is considering selling its fleet of U.S.-made F-16 fighter jets to another country, possibly Iran, in response to a U.S. ban on arms sales to President Hugo Chávez's government". In response, Sean McCormack, a U.S. State Department spokesperson, warned Venezuela that "without the written consent of the United States, Venezuela can't transfer these defense articles, and in this case F-16s, to a third country". At the end of 2014, there was evidence that the IRIAF was involved in the 2014 military intervention against the Islamic State of Iraq and the Levant. A video released by Aljazeera seemed to show an Iranian F-4 Phantom II bombing some ISIS buildings in Diyala Governorate. The IRIAF composition has changed very little since 1979. The first, limited re-location of several units—including disbandment of some and establishment of new squadrons—occurred in late 1980, when the F-4D fleet was concentrated at Shiraz, two squadrons of F-4Es moved from Shiraz to Hamedan, and a squadron of F-14 Tomcats deployed to Mehrabad. Other deployments during the war with Iraq were mainly of temporary character, even if a major re-organization of existing air-defense assets—foremost SAM and AAA units—was undertaken in 1985. There has been no major re-organization during all of the 1990s, either. Equipment, capabilities, and combat performance of the IRIAF strongly influenced the development of the Iraqi Air Force (IQAF), during the 1980s, but also that of the United Arab Emirates Air Force, in the 1990s and the most recent times. In 2013, Iran changed the status of its airports and former Tac Air Bases in combined airfields according to its current policy of having limited fixed units stationed as IRIAF's new policy is using composite units. These composite units may be stationed at any airfield and may be moved overnight to any other airfield at short notice. Therefore, all combined airfields are or will be accommodated with basic cross-service capabilities to handle all IRIAF aircraft. While Iran has been under sanctions since 1979 and these sanctions have become more intense after the country started its nuclear program, Iran has become one of only a handful of countries capable of servicing and overhauling its own military and civilian aircraft. However, less tension in the current (2015) international situation led to a decrease of the sanctions, and the Iranian government is now capable again in ordering a new fleet of civilian aircraft replacing the aged types. A MiG-29UB of the Islamic Republic of Iran Air Force in 2011. An Su-24MK of the IRIAF flying over Shahid Dastghaib International Airport. The Jerusalem Post reported that Iran has signed an arms deal with the Russian Rosoboronexport arms group to buy 250 Su-30MKM warplanes and 20 Il-78 MKI aerial tankers. It is reported that Israeli defense officials were investigating the potential Iran–Russia deal, in which Iran would pay $1 billion for a dozen squadrons’ worth of the jets. Iran and Russia have both denied this and have rejected these claims as propaganda. In a recent broadcast the "Mehr News Agency" has reported that they (the reporters) saw a dozen Su 30s in a maneuver that took place on 15 and 16 September 2008; further the report reads: "In this joint maneuver of the IRIAF and the AFAGIR which is called the 'Guardians of the Nations Skies' the Air Forces of Iran have tested domestically developed systems as well as newly purchased systems (from Russia and China)." The harsh warnings of Israel that it could attack Iran at any time and Russian-American tensions over Georgia have led to reported weapons sales to Iran by Russia, but so far there have no details been revealed by either side. The Russian news agency Novosti reported that Business & Financial Markets said Iran has signed a deal with China to buy two squadrons/24 of J-10 fighter planes with Russian-made AL-31FN engines. The total cost of the planes is estimated at $1 billion, and deliveries are expected between 2008 and 2010. China denied that it had agreed to sell its home-grown fighter jets to Iran, saying no talks had taken place. Foreign Ministry spokesman Liu Jianchao told reporters: "It's not true, it is an irresponsible report, China has not had talks with Iran on J-10 jets." According to Global Security, in July 2003 Chengdu Aircraft Industrial Corporation (CAIC) unveiled the new 'Super-7' or Chao Qi fighter plane to the public, China supposedly received orders from Iran. The plane, now called the FC-1 is an export version of the JF-17 Thunder and entered production in 2006. As of 2014 Iran hasn't received any such plane. In the last several years several new airfields have been constructed in central- and eastern Iran. Some of these facilities have since seen full-scale deployments of IRIAF units, and it now appears that at least two became permanent "Tactical Fighter Bases" (TFBs). These are the first such bases established since 1979. Except new airfields, with Chinese support, the IRIAF constructed also a number of new early warning radar sites around the country. Its ability to control the national airspace, however, remains limited—mainly due to the rugged terrain and lack of airborne early warning assets. Operation Kaman 99, Iran's biggest air raid during Iran–Iraq war with a strength of more than 140 aircraft. Operation Pearl, a successful joint operation by Iranian air force and navy in Persian Gulf against the Iraqi air force and navy. Operation Sultan 10, an operation to disturb delivery and training of new French fighter planes to Iraqi airforce during the Iran–Iraq war. ^ Axe, David (27 June 2016). "Iran's Trying to Rebuild Its Air Force" – via www.thedailybeast.com. ^ "Iran Strafes Rebels in Iraq - Jet Downed". The New York Times. Retrieved 2015-02-07. ^ "iranian_F_4_Phantom_LOSSES". ejection-history.org.uk. Archived from the original on 2015-07-10. Retrieved 2015-02-07. ^ "Iraq air force wants Iran to give back its planes". 5 August 2007 – via www.reuters.com. ^ "With new US planes slow to arrive, Iraq seeks remnants of Saddam's air force to bomb ISIL". South China Morning Post. 28 June 2014. ^ "Iran returns military aircraft to Iraq after 20 years". Middle East Monitor. 23 June 2014. ^ "Iranian Military Planes Crashes in Annual Parade". Defensenews. Archived from the original on 2009-09-27. Retrieved 2009-09-23. ^ "Accident description". Aviation Safety Network. Retrieved 2009-09-23. ^ a b John Pike. "Iran Air Force". Globalsecurity.org. Retrieved 2013-04-22. ^ "Iran, world, political, sport, economic news and headlines". MehrNews.com. Retrieved 2013-04-22. ^ Yossi Melman. "Iran to buy from China 24 fighter jets based on Israeli technology" Haaretz, 24 October 2007. ^ Kommersant. "Iran buys Israeli fighter jets" RIA Novosti, 23 October 2007. ^ "What the Russian papers say". RIA Novosti. Retrieved 2015-02-07. ^ a b c d e f g h i j k l m n o p q r s t u v w "World Air Forces 2019". Flightglobal Insight. 2019. Retrieved 5 January 2019. ^ "Wolrd Air Forces 1987 pg. 64". flightglobal.com. Retrieved 4 June 2016. ^ Iranian jets will fire long-range missiles, PressTV, Retrieved on 8 March 2009. 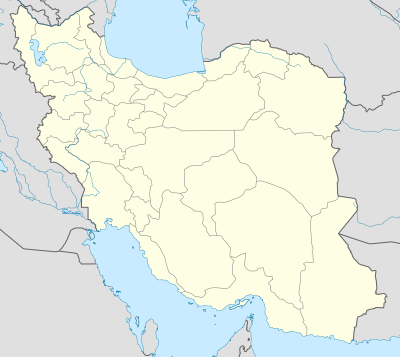 Wikimedia Commons has media related to Air force of Iran.